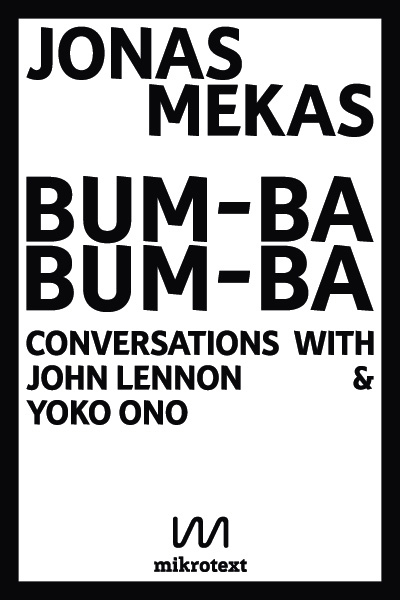 In a playful conversation with the artist Jonas Mekas, John Lennon and Yoko Ono give insights into their artistic practices, such as singing, influencing each other, and collaborating in films such as Legs which shows the naked legs of the New York artistic community. December 1970, Regency Hotel, New York City: After a spontaneous film festival in the Elgin theatre for which Yoko Ono and John Lennon had produced two new films in only two weeks, the organiser Jonas Mekas and the two artists sat together, exhausted and probably also very happy. They talk about how the audience received the films and how Jonas Mekas managed to draw the attention from the famous couple to their works. Almost accidentially, the conversation touches many topics of creative production, from early childhood influences to collaboration, from heart beats in a waltz rhythm to electronic music, from realism to stutter to catharsis. And love and peace. Jonas Mekas was well acquainted with a great many New York artists. He conducted numerous interviews with artists, some of which appeared for the first time in his Scrapbook of the Sixties, published by Spector Books. 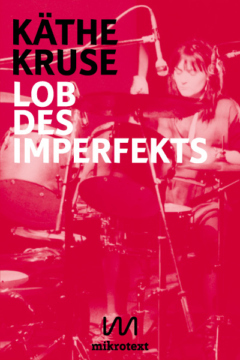 This ebook contains the outtake of one chapter of the Scrapbook. 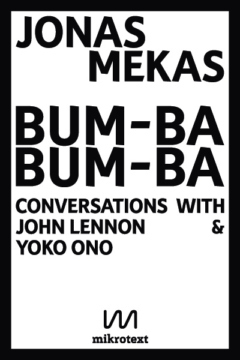 This intimate conversation with John and Yoko reveals Mekas as a friendly, attentive interlocur with a stunningly agile and honest perception. Jonas: Is there in your singing, is there any singing in Japan, that is, I mean, that is Western? Yoko: Well, I was trained, actually I was trained in Western music, German, you know, songs and all that, and Italian songs, in Japan. Yoko: … to sing, you know, in Japan. And, they said, I had a good operatic voice and I could eventually sing in La Scala, you know … And I was dreaming about that. So my voice training has been very Western. But then, at some point, in New York, I started to feel sort of too desperate just singing operas. John: I think it’s got more kinship with just childhood than any part of the world because when I first heard her stuff, I’ve never heard anything like it, the voice stuff. But a lot of the stuff she did and does was like when you’d lie in bed on your own, you know, at night, and you’d do “uh-arrh-aahh,” and just entertain yourself for an hour or two if you couldn’t sleep … And doing noises like that — I don’t mean that stuff when she takes off singing — but a lot of just trying to find all the different noises you can make with your throat, immediately reminded me of doing it as a child, you know. Jonas Mekas, born 1922, is a Lithuanian-born American filmmaker, writer, and curator known as the “godfather of American avant-garde cinema”. In 1944, Mekas left Lithuania because of war. En route, he and his brother were imprisoned in a labor camp in Germany. After the war, he studied philosophy at the University of Mainz and at the end of 1949, he emigrated with his brother to the U.S. where he discovered avant-garde film and began to shoot his first experimental films. Jonas Mekas is the founder of the Anthology Film Archives in 1964 in New York, which remains the world’s most important repository of avant-garde films. Mekas’ work has been presented at venues such as the 51st Venice Biennale, Documenta 11, Berlinale, Serpentine Gallery, the State Hermitage Museum, the Pompidou and the PS1 Contemporary Art Center. In 2007, he opened the Jonas Mekas Visual Arts Center in Vilnius, Lithuania. 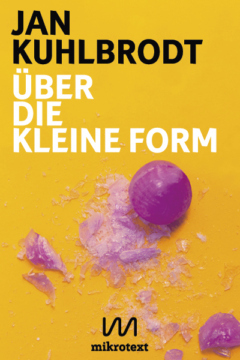 His latest publications were I had nowhere to go, available in German as Ich hatte keinen Ort translated by Heike Geißler (2017) and the Scrapbook of the Sixties (2016), both with Spector Books.